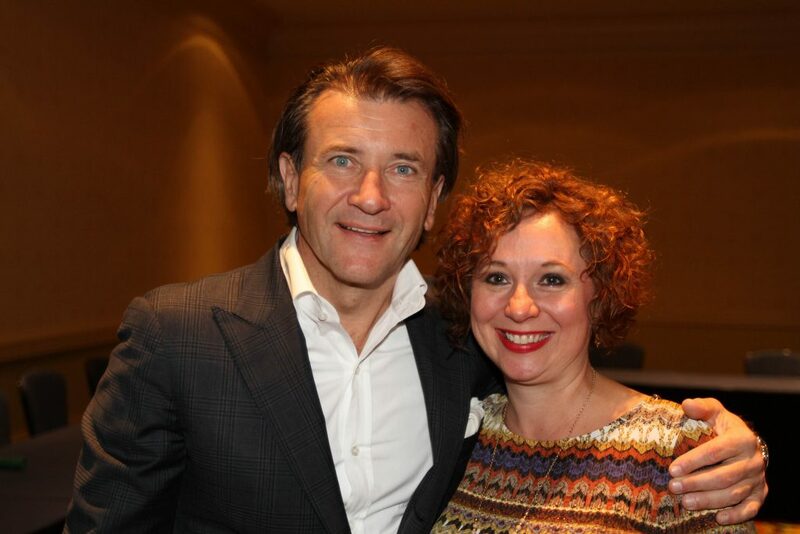 CRN names MXOtech on Fast Growth 150 List that recognizes thriving, adaptive industry leaders - Chicago, Oak Park, Evanston | MXOtech, Inc.
Joanna Sobran, CEO and Founder of MXOtech, with investor and television personality Robert Herjavec. The Channel Company enables breakthrough IT channel performance through dominant media, engaging events, expert consulting and education, and innovative marketing services and platforms. As the channel catalyst, they connect and empower technology suppliers, solution providers and end users with the goal of overcoming the ever-evolving challenges in the technology marketplace. CRN® is a brand of The Channel Company, and The Fast Growth 150 list is CRN’s annual ranking of North America-based technology integrators, solution providers and IT consultants with gross sales of at least $1 million that have experienced significant economic growth over the past two years. The 2017 list is based on gains in gross revenue between 2014 and 2016, and the companies recognized represent a total, combined revenue of more than $16,717,688,643. MXOtech’s continued success and growth led to us to be included in the 2017 Fast Growth 150 list. Not only have we grown our revenue and staff since inception in 2005, but we have expanded our suite of services to a comprehensive scope of everything from 24/7 support to custom web application development and thoughtful business process improvement solutions. “At MXOtech, our passion is going beyond IT to serve the people who rely on it. We focus on being a true technology partner. That means helping you achieve your business goals, starting with the initial in-depth evaluation of your current setup and needs, all the way through to creating unique solutions so you can operate as efficiently as possible, and everything in between. I’m incredibly proud that we have been recognized for this strategy.” said Joanna Sobran, CEO and Founder of MXOtech. As the IT Concierge for clients, MXOtech delivers technology services ranging from outsourced Managed IT Services to custom Business Application Development, System Integration and Business Process Improvement. At MXOtech, we all come to work every day because we want to help our clients use technology to grow their business. And we want to do a phenomenal job at it. To be honest, we’re not really satisfied until our clients are bragging about our good work. This attitude has served us well over the years. That’s why we’ve been able to maintain a 98% client retention rate. Not only do we love retaining clients long-term, but we feel it’s important to retain employees who build relationships with our clients and understand their personalities and businesses. No matter who we’re talking to, our messages and interactions are built around these four core values – clarity, inspiration, trust, and accountability –that embody how and why we do what we do. We understand that technology can be complicated. That’s why we have engineers and developers who explain everything in simple terms – no geek speak here. Whether you are well-versed in IT or a complete novice, we want you to be empowered, not overwhelmed by technology. How do you select IT partners at your firm? Check out these 5 Red Flags that will help you recognize if your IT vendor is taking advantage of you, written by MXO’s CEO Joanna Sobran. If you’re unhappy with your current IT provider, contact MXOtech today at 312-554-5699 or sales@mxotech.com to explore new ideas and strategies.